Norwegian Escape is ready to whisk you away to the Bahamas and the Caribbean from Miami. Indulging in every whim is what unforgettable holidays are made of. Get ready to chase sunsets on The Waterfront. Explore a world of exotic flavours with two new restaurants from Iron Chef Jose Garces. Get closer to paradise with two quintessential Jimmy Buffett venues: Margaritaville at Sea and the 5 Oclock Somewhere Bar. Sip on some of Napas best blends at The cellars, a Michael Mondavi Family Wine Bar. Or try the unique speciality cocktails, hand-crafted by Bar Lab. Be dazzled by Broadway hits like After Midnight. 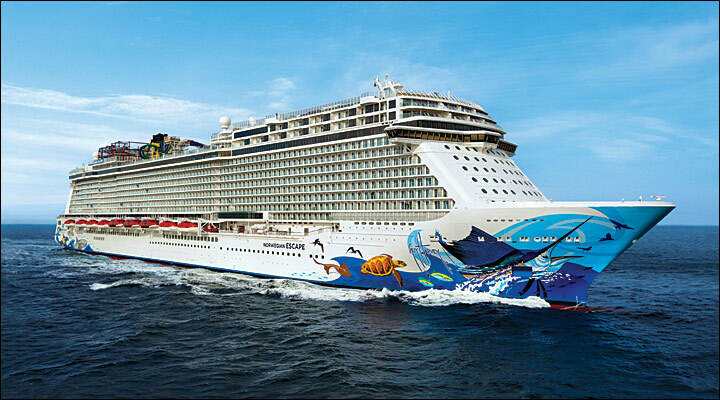 Discover a new world of Freestyle Cruising on Norwegian Escape.